What is the difference between these two classes of cars, you will learn if you read the following lines. Hot rods are traditional old, classic American cars with large engines modified for linear speed. Term “hot rod” really means unclear. Roadsters were the cars of choice because they were light, were easy to modify, and could be bought for a low price. 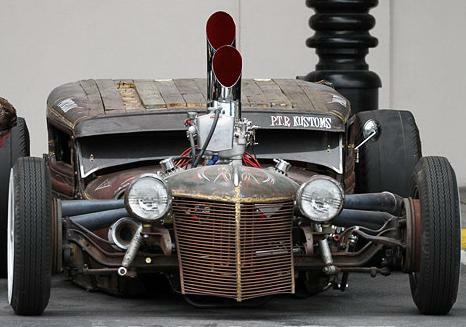 Rat rods are a style of hot rod in most cases, imitates the early Hot Rods of the 1940s, 1950s, and early-1960s. Frames from older cars or light trucks are sometimes preferred for rat rod conversions due to the chassis that is used for these types of vehicles—the chassis type provides a sturdy base for subsequent alterations.